Come and celebrate the festive season at Squire’s Garden Centres Christmas shopping evenings, on 29th November, 4th, 5th and 6th December (selected centres) at 5-8pm. 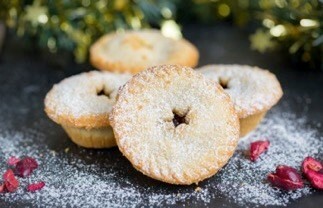 Enjoy a complimentary glass of mulled wine and mince pie on arrival, which is a very nice start to any evening. Then get shopping, as there’s an exclusive 15% off everything* on the night! Plus there’ll be live music to enjoy throughout the evening. As well as the special Christmas Shopping evenings, all Squire’s Garden Centres (except Chertsey) will be open until 8pm for late night shopping from Monday 3rd until Friday 7th December. *15% saving excludes stamps, concessions, gas, gift cards and the Café Bar. Squire’s Long Ditton – Local choir Ember Choral will be performing from 6.30pm, plus there’ll be live music from string duo Surrey Strings. There’ll also be a magician; food & wine tasting with Cottage Delight, Bramble Foods and Lyme Bay Wines; plus children can visit Santa in his magical grotto between 5-7pm. Squire’s Milford – Enjoy live music from a jazz trio, food tasting, plus children can visit Santa in his magical grotto between 5-7pm. Squire’s Twickenham – Listen to bell ringers and enjoy food and drink tasting. Squire’s Woking – Live music from 3-piece band Cajun Boogaloo. Squire’s Frensham – Waverley Abbey School choir will be performing; there’ll be food and drink tasting; plus children can visit Santa in his magical grotto between 5-7pm. Squire’s Shepperton – Listen to live music and enjoy food and beer tasting.